Vestil Manufacturing Corporation is an industry leader in the manufacturing and distributing of industrial material handling equipment. We feature over 1,000 different product lines, many of which are in stock and ready for immediate shipment. We stand behind our products with people that listen to our customer’s needs and find the best solution for their application. We deliver value to our customers by engineering new designs and products which increase productivity, improve workplace ergonomics, and decrease worker injury. Vestil presently has over 1,000,000 square feet of warehouse and manufacturing space. We provide a broad product line to our customers in an efficient manner allowing for the best possible customer experience. Vestil Manufacturing Corporation is a fourth-generation family-owned and operated manufacturer of industrial material handling equipment. We were founded in 1958 in Albion, Michigan when the owners of T & S Equipment started a new company with the intention of manufacturing truck and rail dock equipment. 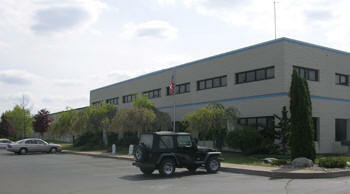 T & S Equipment started with 20 employees and 11,000 square feet of manufacturing space. The dock seal division of United Tractor was purchased in 1968 for the purpose of expanding the product assortment. During the 1970’s, the company redefined its product strategy to include material handling equipment. A concerted effort was made to focus specifically on custom-made electric/hydraulic equipment. In 1982, Vestil moved from Michigan into a new larger building in Angola, Indiana to allow for future growth opportunities. As the material handling market continued to grow and present new opportunities, Vestil built a new manufacturing facility in Angola in 1989. This addition addressed immediate space needs and laid the foundation for additional growth. 6 expansions followed from 1990-1997. A third plant was constructed in 1998 and an expansion in 2005. 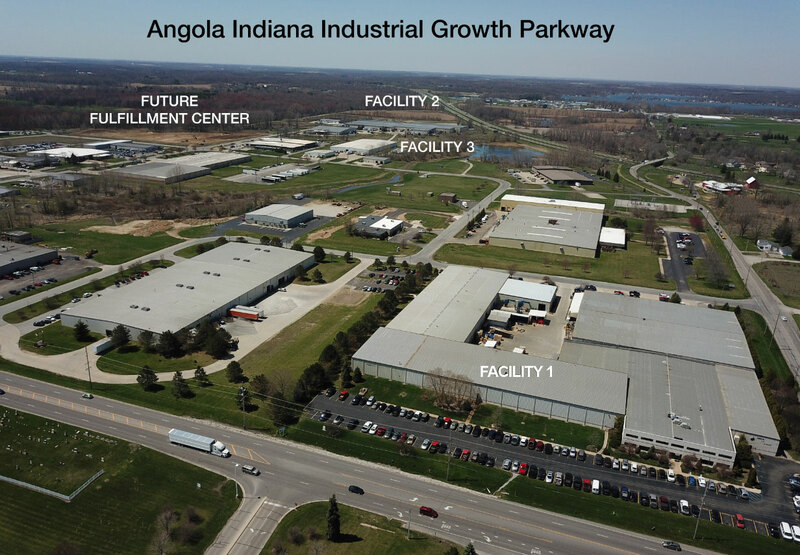 A fourth plant was purchased in 2010 to further warehouse and manufacturing within the same industrial park. Vestil Manufacturing Corporation currently has four facilities totaling over 1,000,000 square feet of manufacturing and warehouse space. We have 15 full-time engineers focusing on mechanical, fluid power, electrical, and industrial disciplines. 17 sales people and 10 support staff members are dedicated to providing the best customer experience possible. We also take pride in being a leader and frontrunner in providing the best content and quality product data in the industry. A team of 12 employees are dedicated solely to providing the highest quality content in the industry. This includes a state-of-the-art photo/video studio, product specification validation, digital imaging, portal management, and photo/video management. Vestil offers the most diverse product line in the industry through continual product line improvement and new product development. We believe that new product development and being first-to-market is the life-blood of our organization. We offer the entire spectrum of products from our in-stock 48-hour quick ship items to custom product manufacturing to fit your unique applications. Vestil products are manufactured using over 100 different pieces of equipment. That list of equipment includes 2 lasers, a CNC plasma table, CNC lathe, 2 CNC mills, 3 CNC band saws, 4 press brakes, 4 shears, 106 steel and aluminum MIG welders, a state-of-the-art machine shop, over 80 welding stations, 2 robotic welders, and the largest fully-automated powder coat finishing system in the Midwest. 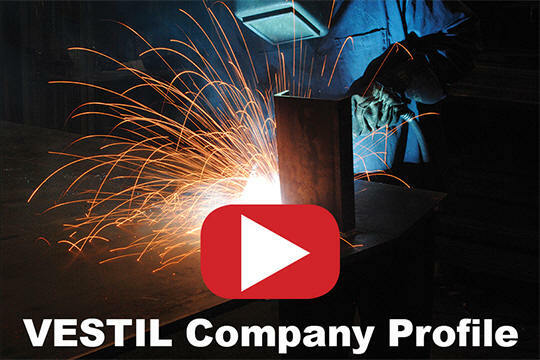 The future for Vestil Manufacturing Corporation is bright! 2017 was another record sales year for the 60 year old company. We are currently building a 225,000 square foot fulfillment center. This building will offer same-day shipping on many in-stock items. Vestil is making this investment in response to customer demand. We are optimistic that growth will continue for us in the future. Outstanding, dependable people and continued loyalty from our customers will lead the way. Vestil, we’ve got it!